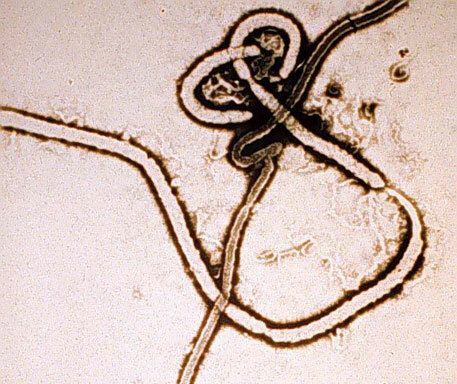 The World Health Organization (WHO) has announced that the blood of patients who have recovered from Ebola should be used to treat the deadly disease in the absence of a clinically-proven drug or vaccine.The logic behind the proposal is that the antibodies produced in the blood of patients to fight off the Ebola virus could be transferred from a survivor to a sick patient to boost their immunity, says a BBC report. “There are many people who have survived and are doing well. They can provide blood to treat other people who are sick,” Marie-Paule Kieny, an assistant director general at WHO, told BBC. Incidentally, a Spanish nurse who recovered from Ebola has also offered her blood to treat patients suffering from the disease. 44-year-old Teresa Romero became the first person to be infected with Ebola outside West Africa, where the disease broke out. She was brought to Madrid where she underwent treatment at Carlos III Hospital. She was discharged on November 5. “If my infection can be of some use, so that the disease can be studied better or to help find a vaccine or to cure other people, here I am,” she is quoted by Reuters. According to her doctors, Romero was given antibodies from a missionary nun who had caught Ebola in Liberia and who had also survived, as well as an experimental drug called “favipiravir”. But it was not clear which part of the treatment aided her recovery. WHO has announced that Ebola vaccines could be available for use on the frontline by November. According to BBC, drug trials started in the US this week and will be extended to centres in the UK, Mali and Gambia soon. WHO said that if the drugs proved safe, they would be used in West Africa immediately (Read “After successful monkey trials, new Ebola vaccine being tested on humans”). The problem with experimental drugs is their limited stock. WHO claims efforts to increase production were underway, but could take several months. Ebola has killed nearly 5,000 people worldwide. But latest WHO data gives a ray of hope. The global health body has reported a slowdown in weekly Ebola cases in Liberia and indicates this could be the first evidence that efforts to tackle the disease are working, says another Reuters report. It has, however, warned that the outbreak is still not under control. Incidence of the disease continues to rise in Sierra Leone, while it is stable in Guinea, the first country in West Africa to report Ebola.